If you've ever dreamed about packing up and moving to a new country, Belize may very well have topped your list of potential destinations. The island of Ambergris Caye in Belize, for example, boasts some of the world's most beautiful beaches, a warm climate throughout the year, a low cost of living and a thriving expatriate community. Both the banking and government systems are stable and secure, and infrastructure is impressive, leaving many potential residents with one major concern: healthcare. Use this guide to get a better picture of the state of healthcare in Belize and Ambergris Caye. 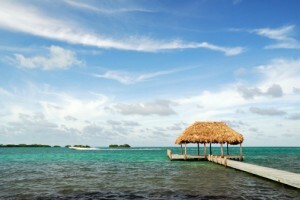 In Belize, health insurance is not required for either residents or visitors. However, it is a recommended investment that many expats choose to purchase for their own peace of mind. Many local and long-term residents, however, don't feel that they need insurance thanks to the impressive local healthcare system, which is so affordable. Along with inexpensive health insurance that you can purchase in Belize, it is possible that your United States or Canadian policies will work in Belize as well. Some expats believe that if they require major surgery or an emergency procedure, they will need to head to another country. Thankfully, that is rarely the case. Although Belize's proximity to the East Coast of the United States means that traveling for medical attention is certainly easy enough, most expats are quite happy to be treated in one of the modern, established and well-outfitted hospitals in Belize. Some of the largest hospitals are easy accessible and found in the capital of Belize City. For non-emergency treatment, a local doctor or clinic on Ambergris Caye can be the quickest and most effective option for an expat. A trip to the doctor is often as cheap as $20 per visit, and you won't have to deal with the headache of being reimbursed by an insurance provider. Ambergris Caye boasts a 24-hour clinic with doctors on call who have international medical experience, which is a huge bonus of living on the island. Ultimately, potential residents should not be concerned about the options for healthcare in Belize and Ambergris Caye. Most doctors speak English, eliminating the concern of a language barrier, and many have even been trained overseas at an English-speaking medical school. In emergencies, treatment at Belize City public or private hospitals is a great choice, but medical evacuation can also be easily arranged. If healthcare is one of your major concerns when it comes to relocating to Ambergris Caye, Belize, you will be pleased to learn about the impressive system in place. Click here to learn more about what healthcare options are available to expats and how inexpensive most treatments are in Belize.